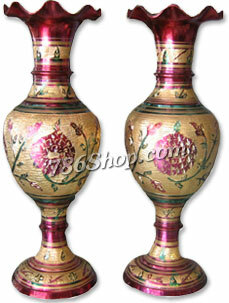 This is an exquisite pair of brass vase with delicate hand engraved pattern. The carvings are painted with eye catching colors, which would surely compliment any color scheme of your room. Note: The product shown may vary slightly from the picture.